Academy Award winning fairy tale from Pixar Studios. Headstrong tomboy and skilled archer Princess Merida (voice of Kelly Macdonald) is determined to break with tradition and carve out her own path in life. 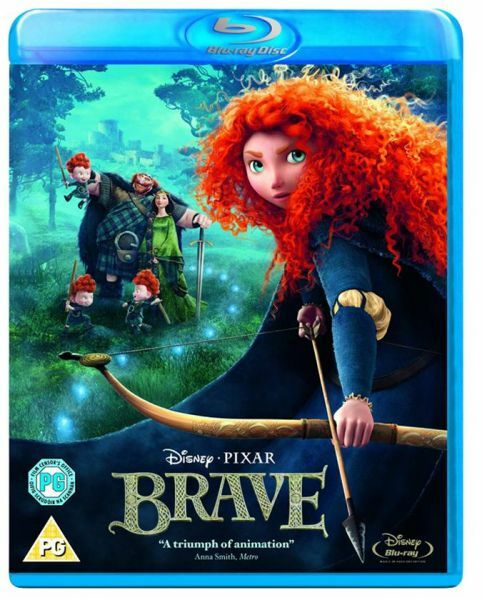 In defiance of her parents, King Fergus (Billy Connolly) and Queen Elinor (Emma Thompson), Merida flies in the face of an age old custom held sacred by the three principal lords of the land, Lord MacGuffin (Kevin McKidd), Lord Macintosh (Craig Ferguson) and Lord Ding wall (Robbie Coltrane). Her actions lead to chaos in the kingdom, and it is now up to Merida not only to restore harmony in the land but to undo an ill-fated wish bestowed upon her by a wayward wise woman (Julie Walters). The feature won the Academy Award, a Golden Globe and a BAFTA for Best Animated Film.